If you haven't heard of Etsy, its probably because you hate crafts. I'm sure my dad has absolutely no idea what Etsy is. heck, Chris may not even know what it is. Probably because neither one of them like doing crafts or even buying crafts. Etsy is basically a really large craft fair online. I would assume it is also largely populated by girls. This Christmas was the first time I have eveaar bought anything off of Etsy, and I was super excited with the quality, the price and the item I purchased. I can't tell what it is because it's a present that hasn't been opened yet. 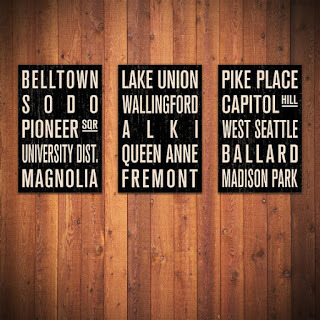 While I was browsing their site, I found some awesome items that I would love to own. So, I compiled a Very-Etsy-Wish-List full of items I would love to have at any time of year (not just at Christmas). My birthday is in March FYI. ~I recently fell in love with riddling racks. If I had all the right tools, I would try to make one myself, but by time I buy all the tools and supplies, I could have bought 17 of these. 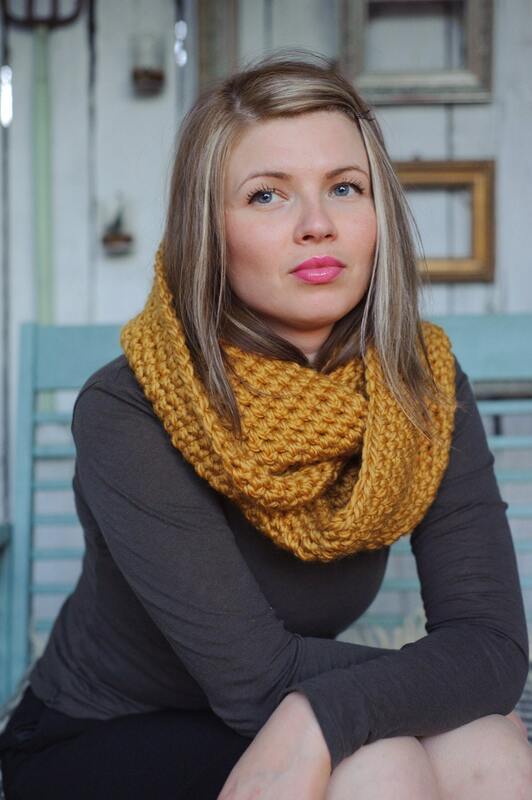 ~ I go through "scarf periods" and I have been really coveting an infinity scarf, especially a chunky cable knit one. One thing I refuse to learn is how to knit, so this is something I won't ever be able to make for myself. 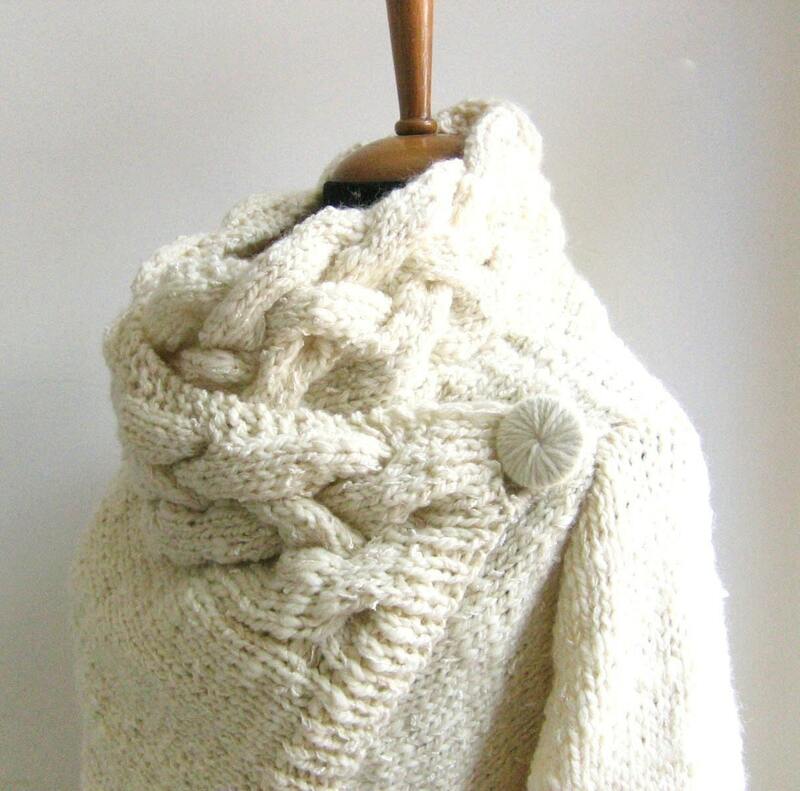 If you are a knitter- pretty please make me one of these! 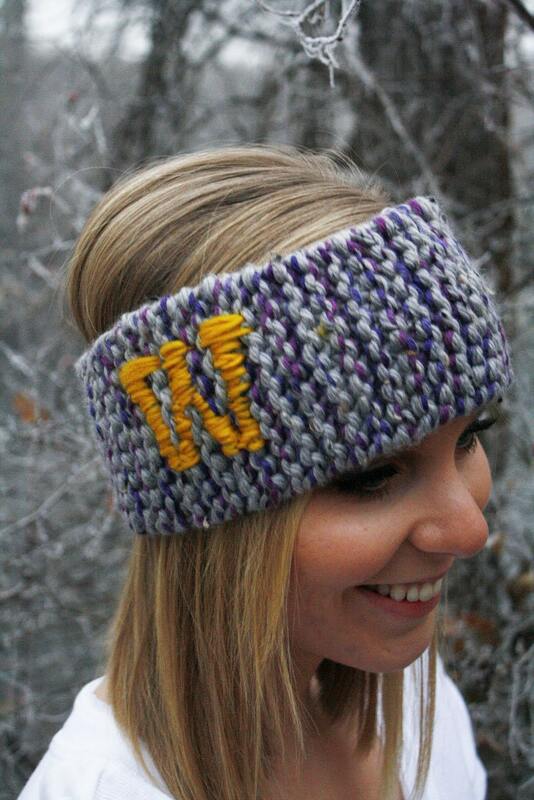 ~ Speaking of knit items, how cool is this UW headband???? I need this for tailgating since I'm always cold. Do you think it will make my head look big (bigger than it already is)? ~ Seattle winters can be cold, and I am woefully short on good sweaters. This one looks like something I may never take off. And it kind of has a built in scarf- its a two for one! ~I love a fun cocktail ring to wear out when I'm all dressed up. I really like this one. I could see wearing it all the time! 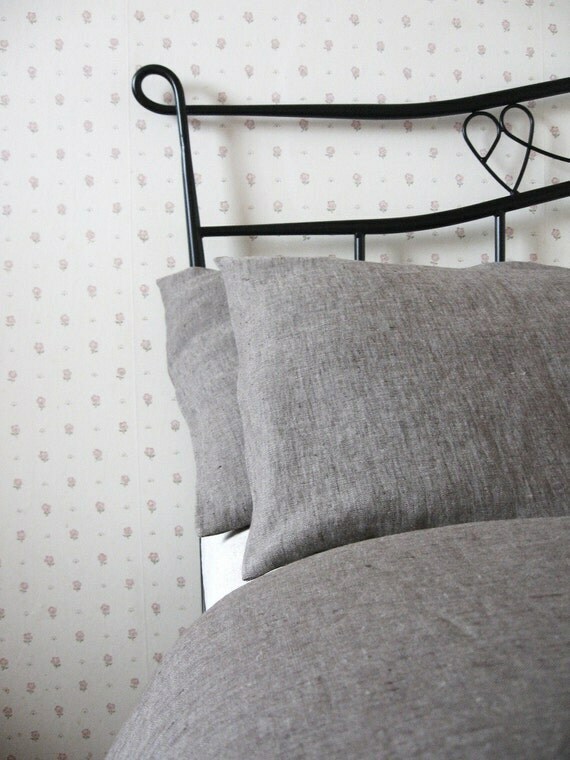 Just so simple and classic. ~ I have been eyeing other people's hand bags all winter and secretly want a fun colored purse. 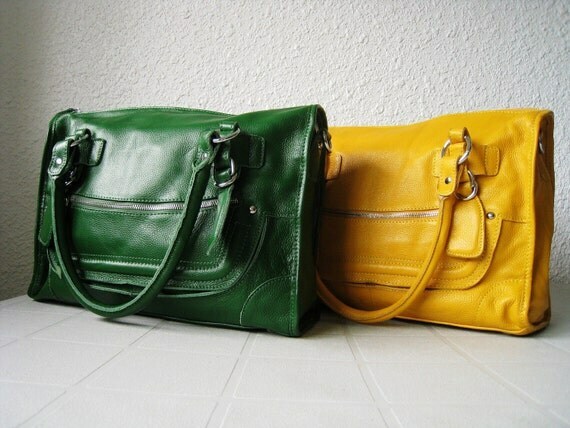 I love green, yellow, orange... anything with a pop of color, especially like these ones. ~I also can't get enough of great prints. 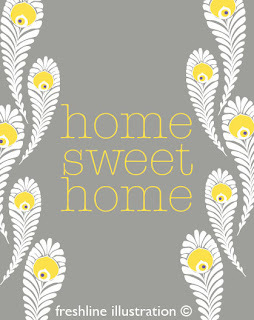 I enjoy grey/yellow combos, peacock feathers and home quotes. This is like an amazing trio of goodness. 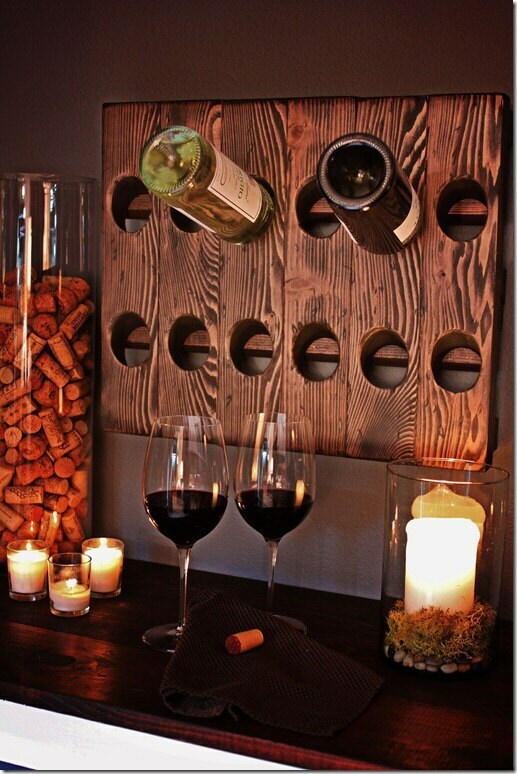 How cute would this be in the den?? ~ Chris has coveted some subway signs for a long time. So these really jumped out at me. 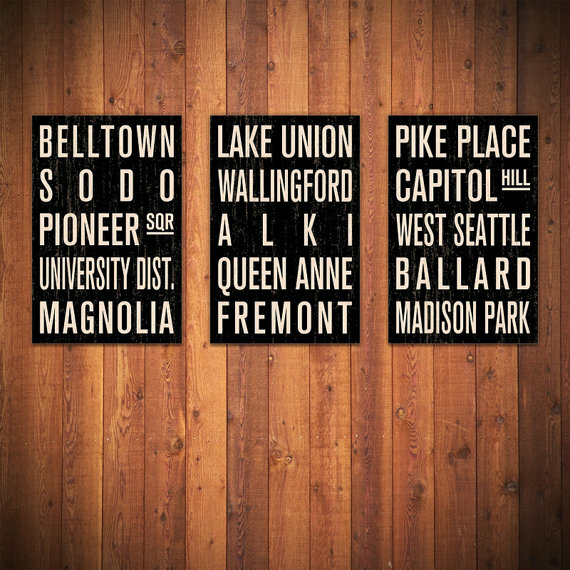 Seattle themed subway signs would look awesome on our walls. I love a trio of subway signs. So there you have it. 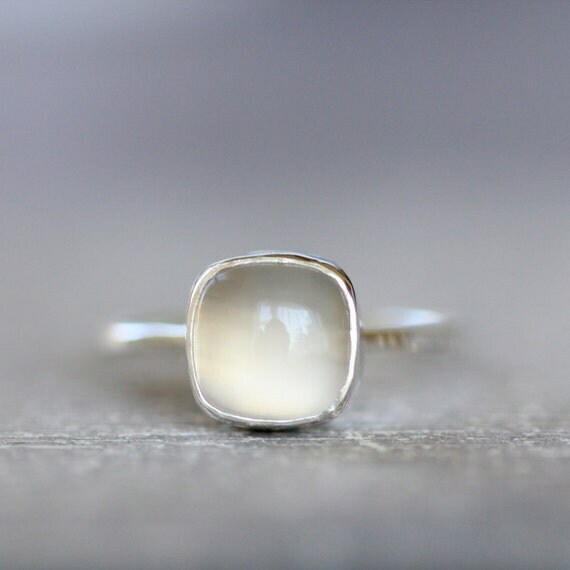 My Very-Etsy-Wish-List. There are millions of things on there, so I know I have not even skimmed the surface of the amazing things in there. If you have things you love on Etsy, share them with me! My list can't ever be too long.